Hurricane Matthew was national news last fall, with frightening images of flooding and damaged buildings in Eastern North Carolina dominating our television and iPhone screens for several weeks. But with an election and a host of other important stories emerging after the storm, the media soon moved on. In Edgecombe County, moving on has taken a lot longer. But now the region is seeing major progress in its recovery from Hurricane Matthew. At the Conetoe Family Life Center, a nonprofit dedicated to increasing access to healthy foods by engaging area youth, the devastation from the hurricane was near complete. 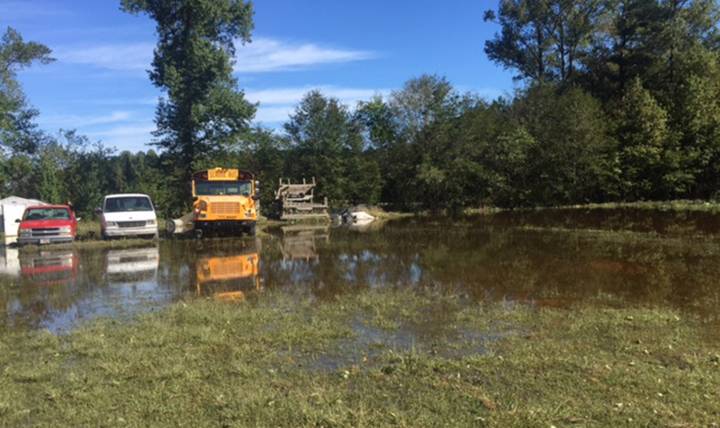 The Center’s 25 acres of gardens across multiple locations were completely flooded, with four feet of standing water destroying all crops, and its beekeeping operation was destroyed. Equipment was damaged, the Center’s main building lost its roof and floors were ruined. In total, more than $300,000 in crops and equipment was lost. But the impact of the damages went far beyond lost equipment. More severe was the effect of the hurricane on the Center’s ability to provide food and services to the community, said Dr. Garrie W. Moore, Executive Director of the Center. “(Losing our crops) was a huge impact to many of the families we serve, because getting free produce from the garden meant a lot regarding access to healthy foods,” Moore said. And for area youth, damage to the Center meant losing a community of peers and a sense of belonging. Though staff worked with the Red Cross on disaster relief efforts, normal programming was suspended until the Center could recover. “The garden is a resource for the community, but for the youth, it’s more than that. It’s a destination. The youth who participate come here to work and interact with each other and be a network and social support for each other. So we lost that, and it took a while to get the community back on its feet and get our youth re-engaged,” Moore said. Additionally, many of the youth who participated in Center programming were displaced by the hurricane and its aftermath, and many moved away permanently. Rebuilding has taken months. Crops have been replanted and, as of last month, boxes of produce were available again to members of the community. Programs for both youth and adults have resumed. There’s still some work to do, but Moore said things are in a good place. Now it’s time to focus on the future. One of the first steps will be to expand the Center’s on-site training facility to provide additional space for more youth to learn about subjects like agribusiness, beekeeping and leadership development on site. This is critical, Moore said, because there are currently more students in need than the Center has the capacity to serve, and because the Center has seen long-lasting success from these programs. Tationa, 14, said she’s learned about farming and beekeeping, along with some ways she can help her father better manage his diabetes. And Sha’zire, also 14, said the opportunity to help others in his community is what keeps him engaged. “People who don’t have anything to eat, we give them something to eat, and we help the world a little bit,” he said. The Center also has the opportunity to expand educational programs off site. After conducting successful programs at three schools in the Edgecombe County school system, Moore said the Center is looking into programming at other schools in the area. Additionally, the Center is hoping to continue working with area churches to implement the “Conetoe Model” by working with them to plant a garden at their facility and encourage healthier eating among their constituents. 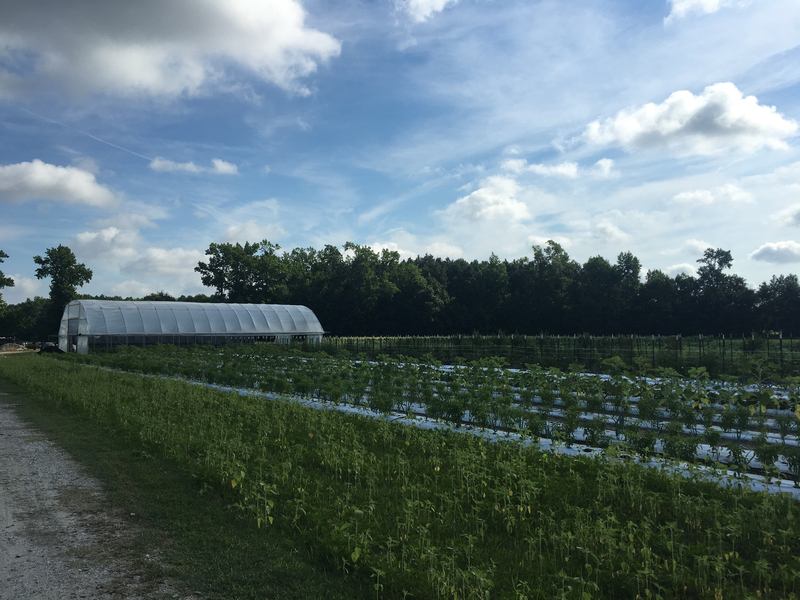 In addition to expanding training programs, the Center is focused on ways to get more fresh, healthy produce to area residents and businesses. Learn more about Conetoe – http://www.conetoelife.org/.